To make the perfect Gin & Tonic, take one part chemist, one part industrial designer and a dash of photographer, sit together over mediocre G & Ts and resolve to concoct a superior homebrew of tonic. Let steep a year. Disperse across Quebec. Fortunately for us consumers, we don’t have to take that complicated route because Hannah Palmer and Alexandrine Lemaire already did the legwork. All we need is a fine gin, seltzer water and ¾oz of their Tonic Maison. 3/4oz began exactly this way over one year ago when Palmer, a chemical engineer by profession who moonlights as a photographer and Lemaire, industrial designer, were straining to enjoy a gin and tonic at a bar when they remarked at how low quality tonics defile this classically mixed drink. Most tonic waters are made with large amounts of high fructose corn syrup and this overly sweet, super unhealthy drink, masks the subtle flavours of gin. Their Tonic Maison is less sweet so you can distinguish the many aromatic botanicals and spices. 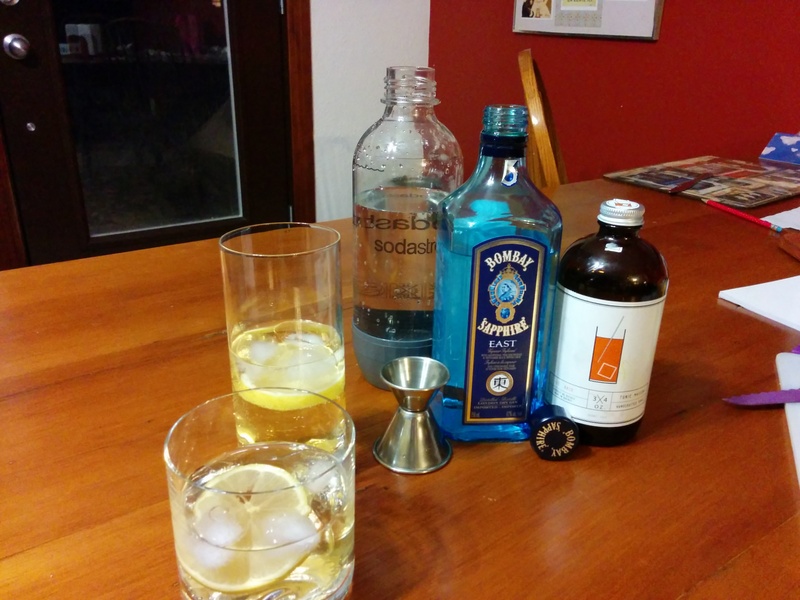 For twenty five dollars, you get 500 mL of Tonic Maison which serves up approximately 25 G & T’s. 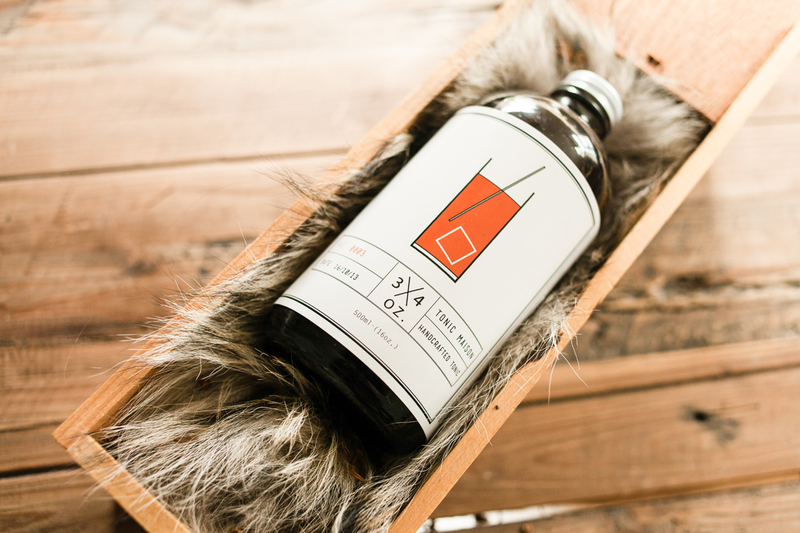 “3/4 oz is the amount of syrup you’ll need to prepare what will become your best gin and tonic,” touts the bottle, designed by Lemaire. It’s not hype. 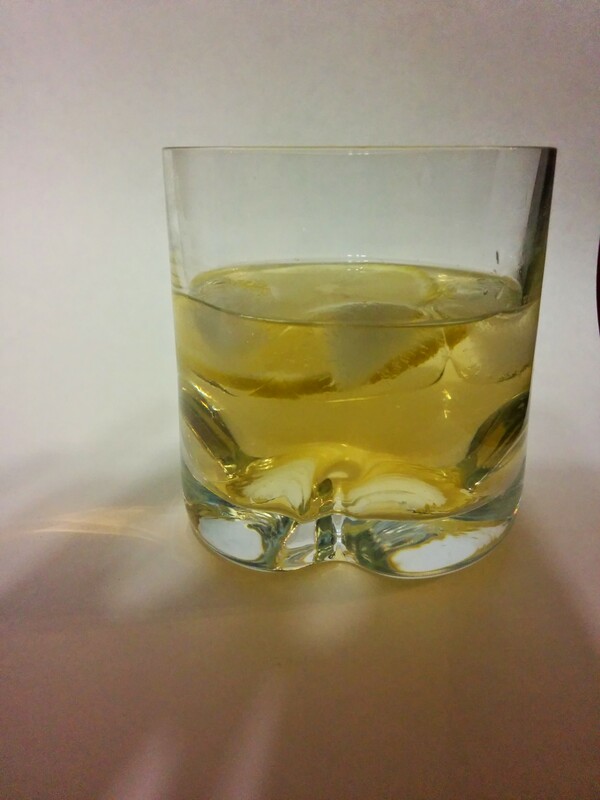 I mixed this citrusy tonic with Bombay Saphire East and it was definitely the best G & T I ever had. There was no residual gummy aftertaste and the quinine infused tonic did not taste overly medicinal. It has a nice balance between tangy from the citrus and mildly bitter flavours. Palmer endorses Hendrick’s and Quebec’s micro-distilled Pigere Henricus, but this is what my old man brought home from the SAQ and it didn’t disappoint. I would be happy to test my theory that it is all in the Tonic Maison and mix it with all the gins the SAQ dispenses. You can use your preference of sparking water: Club Soda, Perrier, or carbonated water à-la-Soda Stream and the tonic will turn your drink a beautiful champagne hue. 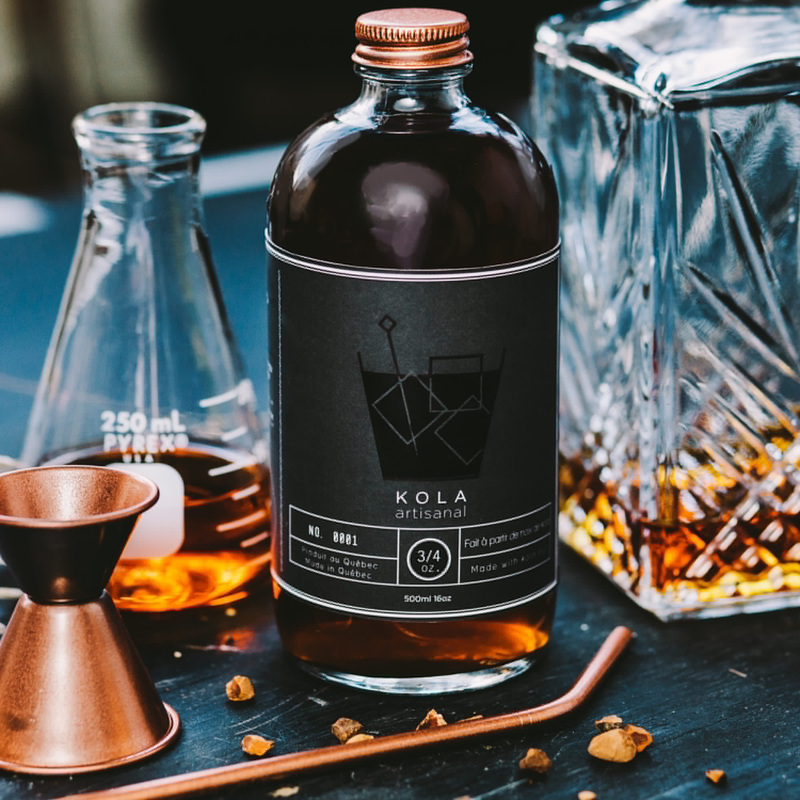 Over the holiday period, ¾ Oz Tonic Maison will be launching their newest syrup product, Kola Artisanal. You can pick up your choice of products this week-end at Haut+Fort at Concordia’s EV Hall, and they will also be selling gift packages that they designed themselves. Baskets include drink accessories along with an artistically designed booklet for you to record your personal recipes as you perfect them. ¾ Oz Maison Tonic will be at a few more holiday fairs in Montreal including Puces Pop in December. They are even heading down the 401 to a Toronto event. Like all good peddlers of a tonic, one must take it to the road! Check their website for more locations where you can enjoy their tonic, or to pick up a bottle in store. They are also available online through Etsy and Alambika. Haut+Fort (Concordia University) is open Friday November 21 from noon to 9 p.m.; Saturday November 22 from 10 a.m. to 10 p.m.; Sunday November 23 from 10 a.m. to 6 p.m. Puces Pop takes place December 12-14 at Eglise St. Denis (5075 Rue Rivard).